To put it mildly, these are not good times for the US labor movement. According to the federal Bureau of Labor Statistics, the US unionization rate in 2017 was 10.7 percent, tied for 2016 as a record post-World War II low, with an even lower private sector rate of 6.5 percent. Among full-time workers, unionization is slightly higher (11.8 percent), but only 5.7 percent of part-time workers are unionized. Yet adjunct faculty—the majority of whom work part-time—are bucking this trend, report Kristen Edwards and Kim Tolley in the Chronicle of Higher Education. Edwards and Tolley both teach at Notre Dame De Namur University, a Catholic college in the San Francisco Bay Area. Organizing is also taking place among graduate student instructors (teaching assistants) and researchers (research assistants). “Over roughly the past year and a half, graduate student workers from at least 14 different institutions have also voted to unionize,” write Edwards and Tolley. This spring, Harvard University agreed to negotiate with its graduate student union. Other campuses where graduate student employees have voted for unionization include Columbia, Yale, Boston College, the University of Chicago, and Loyola of Chicago. At Washington University in St. Louis, adjuncts won a 26-percent increase over the subsequent four years; Boston University adjuncts won pay raises of between 29 percent and 68 percent over the three-year period covered by their contract; in California, Mills College adjuncts gained a wage scale that rewards seniority, with raises ranging from 1.75 percent to 60 percent. Nearly all (97 percent) of the collective-bargaining agreements examined also increased job security for contingent faculty. For example, some union locals have negotiated payments to faculty if classes are canceled. 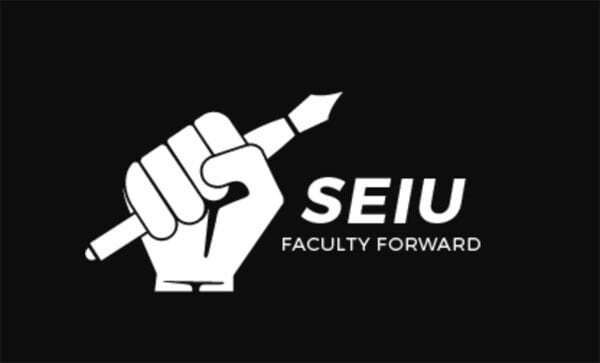 Edwards and Tolley note that at their own campus, adjunct faculty will now receive a modest $250 if a course is canceled and no alternative is provided. Despite these gains, some goals—such as parity in salary and benefits with tenure-line faculty, meaningful participation in shared governance, and halting the increasing overreliance on gig labor—remain mostly elusive so far. That said, adjunct family at one school, Dominican University of California, did win a contract that led to adjunct salaries that are 80 percent of the salary of a tenure-track assistant or associate professor.